As Treasurer of Ohio, I believe taxpayers have a right to know how their tax dollars are being spent. All too often, we the people aren’t able to follow our money once we write a check to city hall, the state capital or Washington D.C.
I’m a believer in making government small and people big. As someone who sees his boss as the 11.5 million people of Ohio, I am all about power to the people. This past December, OhioCheckbook.com turned two. Since the site’s launch on December 2, 2014, over $560 billion of state spending over the past nine fiscal years is online and at the fingers of anyone with an internet connection. This represents over 153 million individual checks – from $2 for a pack of pencils to $2 million for road expenditures, and everything in between. As a result of OhioCheckbook.com, Ohio climbed from 46th to 1st in the nation for government transparency for the second year in a row. Even with this amount of spending information online, we didn’t stop. I invited Ohio’s 3,962 local governments and schools to join me in posting their checkbook level expenditures online. I extended this invitation as a friendly partnership to help empower taxpayers at the local level, and offered to post the information online at no cost to local governments. Since that invitation, the response has been overwhelming. Over 1,000 local governments and schools have joined our mission for greater transparency by partnering with my office to post their spending information online. From large counties and small villages, to cities and schools of all sizes, governments across Ohio have said “yes” to shining sunlight on how they spend tax dollars. Today, thanks to OhioCheckbook.com, taxpayers across the state can search online more than 29 million transactions representing more than $74 billion in total local government and school district spending. Never before in American history has this kind of government transparency been accomplished. And here in Fayette County, three local governments are leading the way. Jeffersonville, Milledgeville and Octa’s checkbooks are already up and running, and taxpayers can follow over $3 million dollars of local spending. I applaud the over 1,000 local governments and schools across Ohio who have chosen to be leaders in this growing transparency movement. These entities agree – OhioCheckbook.com is good governing. By posting local government spending online, citizens are able to play an active role in their government by staying informed and educated, all with a few clicks of the mouse. While taxpayers care about what their state and federal governments are doing, the governments in which they are typically most involved are closest to them – like their city, township, school, or library. These are the local governments that are helping to provide safe streets, services for seniors and a positive learning environment for our kids. My hope is that more local governments in Fayette County will continue to join me in this mission of creating a more open and transparent government. After all, as a citizen, it’s your right to know how your money is being spent. My goal is to set off a race for greater transparency across Ohio that will empower taxpayers to hold public officials accountable. The momentum is building and I encourage you to contact your local officials to urge them to put their finances on OhioCheckbook.com. To learn more please visit OhioCheckbook.com. 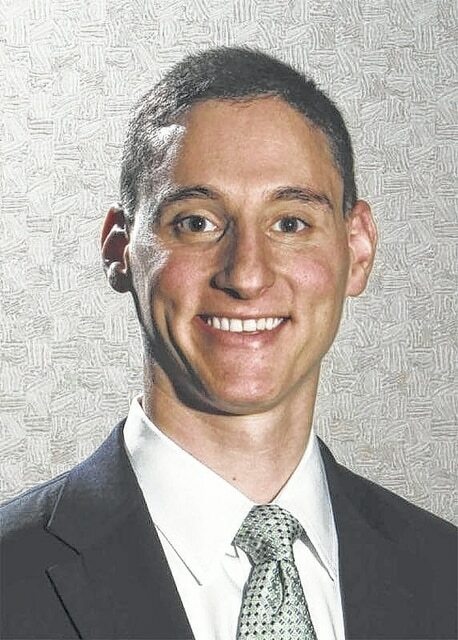 Josh Mandel is the Treasurer of Ohio.